Local residents are delighted with the new sculpture that has been installed in the public garden of the Old Gaol yesterday. 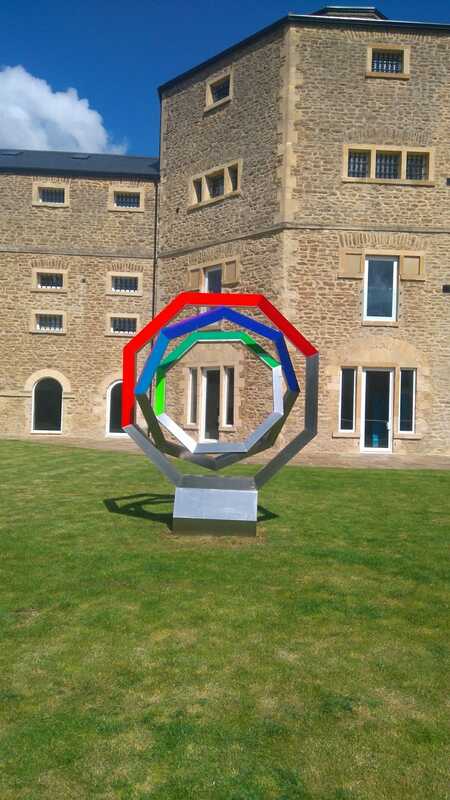 Artist, Tim Ward of Circling the Square was commissioned to design a sculpture by the Vale of White Horse District Council as part of the public art policy. Tim was keen for community engagement, so invited local residents to meet with him to provide their input into the overall design. 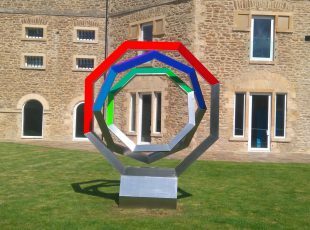 Cranbourne are delighted with the final design of the sculpture and wanted it located in an area that would enable the public to enjoy this piece of art. Tim Ward quoted “I am really pleased with the sculpture and find it quite exciting in the combination of materials and lighting”.